Can You Replicate Mandel's Strategy? Winning the lottery is a one in a million (1 in 292,201,338 for Powerball to be exact) chance. So how in the world did Stefan Mandel, an economist from Romania, win the lottery 14 times using completely legitimate means? 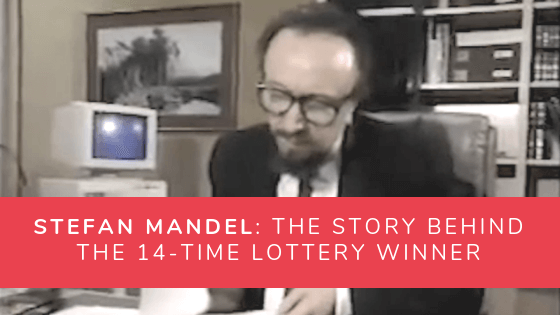 Mandel didn’t make our list of the biggest lottery winners, however, he still won millions by doing things by the book. He just played smarter and dedicated a lot of time into his passion. The formula was simple: to buy all possible lottery combinations. But, I’m getting ahead of myself. To fully appreciate Mandel’s genius, let’s go all the way back to where it all started. Stefan Mandel grew up in communist-era Romania, where a large part of the population lived knee-deep in poverty. While there weren’t many ways one could make an honest living—at least, not outside of the law—there was a government-sanctioned lottery. It was when Mandel was working as an economist for the Romanian mining consortium that he first came up with the idea of beating the lottery odds. Mandel wanted to find a surefire way to win the lottery, so he brainstormed for a long time until he discovered the perfect math formula that could predict 5 out of 6 winning numbers. The lottery was, as Mandel saw it, his ticket out of the country. Four years after successfully coming up with his formula, Mandel finally put his discovery to the test. At the time, he was only aiming for a second prize win—which required matching only 5 numbers—but, to his surprise, he ended up winning the jackpot. Now that Mandel had enough money, he had the means to get out of communist Romania. Being Jewish, he set his sights on moving to Israel. However, because it was next to impossible to leave his country at the time, Mandel had to bribe foreign ministry officials for safe passage out. For a while, he settled in his new home in Israel. But, not long after, he moved again. This time, he and his family went to Australia. It was during their time there that Mandel would concoct his biggest plan yet. At the time, Australia had a strong economy and it wasn’t particularly expensive to live in. So, it wasn’t a surprise that Mandel and his family eventually settled there and got citizenship.With his new status as an Australian citizen, Mandel could now do business in British commonwealth countries, which Australia was part of at the time. What did this mean? Simply put, his citizenship allowed him access to the UK lottery system. I’m sure you already have an idea where this is going! Not long after gaining citizenship, Stefan Mandel began building the foundations of what would eventually become a lottery business of sorts. Of course, he began by coming up with a new formula that would be a good fit for the UK lottery system. This strategy was much less complicated. He didn’t try to predict the winning combination. Instead, he devised a way to acquire as many tickets as possible. Then, he began looking for people to participate in his plan. Eventually, he had throngs of people purchasing and submitting tickets to numerous convenience stores around the country for him. His operation was so organized that he even had ticket receipts placed in storage religiously. Once a winning ticket was confirmed to be among Mandel’s stash, his team would take the receipt and submit it to claim the winnings. As soon as he and his company would receive their prize, he would distribute portions of it to his investors and, of course, to his army of ticket buyers. I know what you’re thinking. An operation of this scale must be illegal, right? Surprisingly, it wasn’t! See, there weren’t any rules or laws against one man buying tickets by the boatload. At one point, Mandel even approached officials of the Australian lottery and told them of his intentions to buy every number combination. Mandel cornered the Australian lottery a total of 12 times, and each time the government enacted new rules or laws that they hoped would put a stop to Mandel’s very successful lottery operation. At first, a law was enacted that made it illegal for one man to purchase all tickets in a lottery. Mandel responded by finding five partners. Then, another law was enacted that made it illegal for groups of individuals to purchase all tickets in a lottery draw. Again, Mandel found a workaround by creating a lotto firm. After his 12th win, so many laws have been passed that it became hard for him and his team to continue their lotto business without getting in trouble. Mandel eventually threw in the towel—until he decided to look to another country where he could legally continue his lotto operation, that is. Stefan Mandel looked to the United States, especially because it had no laws that prevented lottery players from cornering the market yet. However, because there were so many different lotteries with varying mechanics across all states, he had to do his due diligence first. At one dollar a piece, he needed to raise approximately $7.1 million to purchase all lotto combinations. Mandel managed a seemingly impossible task—he successfully got 2,500 investors from Australia onboard. With each of his investors chipping in $2,500, he now had the means to enact his plan. One of the things that made the Virginia lottery stand out from other state lotteries during the 1990’s was that they allowed players to print out their own tickets at home. If you submitted the homemade tickets to a convenience store, you could pay for it without any problems. This was perfect for Mandel and his team. Using laser printers that Mandel and his team used in one of their earlier lotto operations, they were able to print out all 7.1 million tickets back in Sydney. He then paid around $60,000 to have the tickets shipped to the United States. He and his team also negotiated with store owners around Virginia so they could buy tickets in bulk. Now, all Mandel and his team had to do was to pay for the tickets at convenience stores. The problem with that was—if they were to pay in cash—they would need to haul the money in trucks to cover for everything. The solution was simple: Mandel put money in a bank and had his team use cashier checks to pay for the tickets, instead. With their operation in full swing, and with so little time to purchase every ticket and have them processed, Mandel’s team worked tirelessly. But, then, convenience stores began to run out of tickets and, soon, every store stopped selling them altogether. Mandel’s team faced a huge hurdle: there were still over 1 million number combinations that haven’t been purchased yet. But none of that mattered because, in the end, Stefan Mandel still managed to win! The best part was that there were no other winners besides Mandel, which meant that he and his team walked away with everything. Their haul? The $27 million jackpot, plus dozens of 2nd and 3rd prize wins, and—get this—thousands of minor wins! As for his investors, they raked in over $30 million! Unsurprisingly, for a brief spell, the legality of what Mandel and co. did was up for debate. At the time, the stipulations of the Virginia State Lottery stated that a ticket was only valid if a player paid for it at the terminal where they got it. So, since Mandel and his team went directly to store owners, people questioned whether their tickets were valid or not. 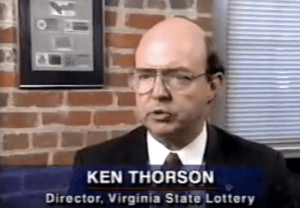 In fact, then Virginia State Lottery commissioner Kenneth W. Thorson thought it was suspicious when Mandel’s group won. He eventually authorized the release of the prize after thoroughly investigating how Mandel’s team had operated and saw that everything they did was by the book. Amusingly, while Thorson commended Mandel and his team for their dedication and perseverance in an interview, he said that he hoped they would never come back. The commissioner got his wish—it was Mandel’s final lottery stunt in the US. In 2004, Mandel was arrested and imprisoned in Israel. The reason? He tried to replicate the Virginia State lottery stunt, but failed to give his investors the odds of winning. He was subsequently charged with fraud. Following his stint in prison, he sought refuge in the island nation of Vanuatu in the South Pacific. He is currently living in a beach house there. While Mandel’s story has become world-reknowned, there is still not evidence to support what his actual net worth is. Considering a group of his investors banked $30M we have to imagine that he’s going to be living a comfortable life from here on out though. Can You Replicate Mandel’s Strategy? According to Alex Goldmark, the supervising producer of NPR’s Planet Money podcast, replicating Mandel’s strategy wouldn’t work today. There’s just too many hurdles one must overcome for it to be feasible. Even with the ability to play the lottery and purchase tickets from anywhere in the world, it’s extremely difficult with current lotteries. For one thing, the number of possible combinations have become far greater since Mandel’s final stunt. US state lotteries like the Oregon Megabucks, for example, give you a 1 in 6,135,756 chance of hitting the jackpot. The odds get even longer for regional or national multi-state lottery games like the US Powerball and Mega Millions. Then there’s the fact that you can’t print your own tickets anymore, nor will you be able to buy all of the tickets in time, not to mention figuring out the perfect formula the way Mandel did. Logistically speaking, it’s nigh impossible to pull off the same trick today. In other words, you’ll have to play the lottery the good old fashioned way—unless, of course, you manage to come up with a plan that will top Mandel’s. But then you would probably would be enjoying the sun on an island in the South Pacific instead of reading this article, right? Hi Anna, we don’t have a copy of the formula, sorry. No, I can’t show you the formula, I can only do that when I have the team needed for the game.- the financier and the truthful and dedicated people. Hi, Annie! Lottery Critic isn’t connected with Mr. Stefan Mandel in any way, so I’m afraid we can’t put you in touch. Sorry. That 30 Million win left only 10,000 $ profit to 2,500 investors. I have the formula, and I need an investor who can sponsor this game. There will be no loss only WINNING if there’s a committed investor to finance this idea. I have it here in AMERICA. Which part of America? USA, Mexico, Colombia, Argentina…? North America, to be precise NEW JERSEY. Any number game that you want to play. How u can calculate the numbers.u know about RUSSAIN LOTERY CAN U HELP ME ????? Hey, Gopesh! Like we said in the article, it’s difficult to do what Mandel did today. If you’d like to try your own calculations though, check out our takes on different lottery strategies! I can do any combinations that you want, if only you have the means to play. If you calculate how to bet in Hong Kong’s Mark Six Lottery, can you win the chance to win? Good job can you show the formula?